This is a great tool package for the builder just getting started. It has all the tools you need to build all the kits offered by RetroTone®. 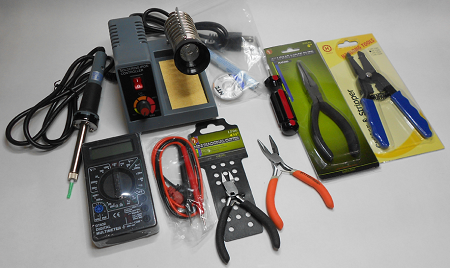 The optional kits offered are designed for builders who are sharpening their skills. Check out the "How To" pages to see this kit in action.